In “Border Patrol” Delcita Coldwater Ditches The Customary Ugly Black Face And Rotten Teeth For A Police Uniform. 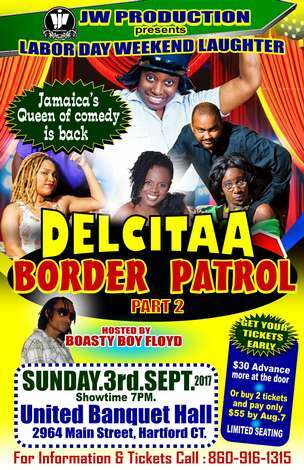 Veteran Theatre Practitioner, Michael Reckord, of the Gleaner, described “Border Patrol” as the play with thorough laughter that has as many curves and turns as Fern Gully. Wright broke hearts when she announced, she would no longer be playing Delcita but, she told The Sunday Gleaner, she is now back — but with a difference. Wright has done away with Delcita’s characteristics, but has retained her mannerisms.